Gatton Hall is a mansion in the Palladian Style, situated in the grounds of the Royal Alexandra and Albert School in Gatton Park, affording splendid views over parkland and lakes designed by ‘Capability’ Brown. Its large state rooms and high quality catering make it an ideal venue for a wide range of corporate functions and private celebrations. 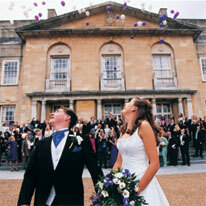 With its own chapel and picturesque grounds, Gatton offers the perfect setting for a wedding. Gatton is located just 25 miles south of London with easy access to the M25 and M23 motorways and to Heathrow and Gatwick airports. There are ample car parking facilities on site. 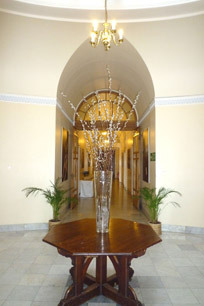 The State Rooms provide an ideal suite for private parties. 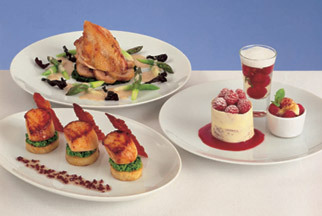 For a formal occasion, pre-dinner drinks can be served in the Connaught Library or in the summer on the terrace. 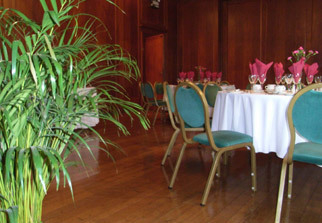 Dinner may be taken in the Ballroom with dancing afterwards in the Oak Room. Gatton Hall and the surrounding parkland is ideal for corporate family days with opportunities for walks and activities in the park after lunch in Gatton Hall. Adjacent to Gatton Hall, our newly refurbished dining hall accommodates large parties of 150 to 200 guests, pre- and postdinner drinks being served in Gatton Hall.